Dung down under: dung beetles for Australia is the first farmer-friendly book on the ecology and management of dung beetles in Australia, possibly the world. It is an essential reference for farmers, Landcare groups and environmental organisations concerned with sustainable land management. 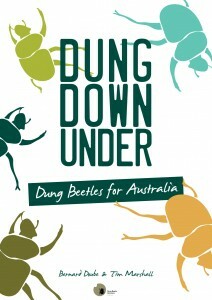 Buy Dung down under: dung beetles for Australia. We dispatch books via Australia Post using the most cost effective package we can find. We endeavour to dispatch within 48 hours of receiving an order, but occasionally this might take a few days longer. If you are concerned please contact us. 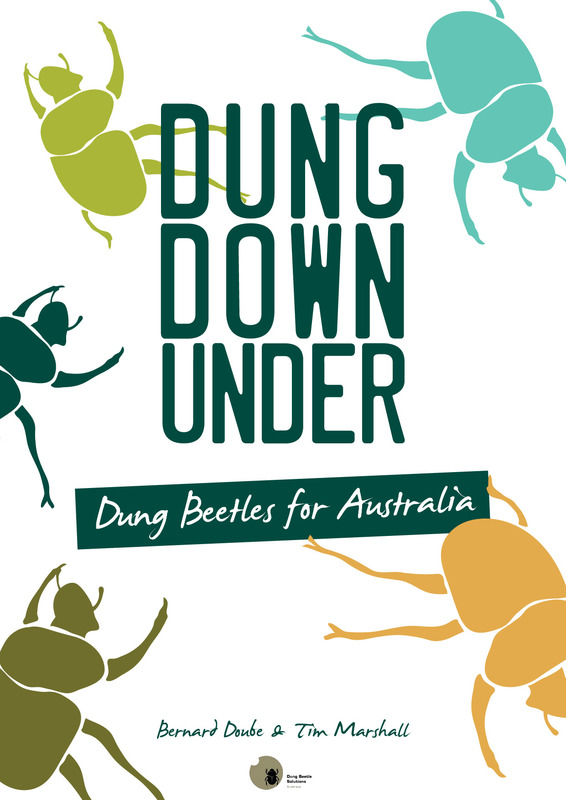 Dung down under: dung beetles for Australia—a new dung beetle book! World dung beetle expert Dr Bernard Doube has teamed up with organic agriculturalist Tim Marshall to produce the first farmer-friendly book on the ecology and management of dung beetles in Australia, possibly the world. It is an essential reference for farmers, Landcare groups and environmental organisations concerned with sustainable land management. For more information see the Dung Down Under flier.